Cal Arts student Sara Gunnarsdottier explores the music of outsider artist Daniel C. a legend in Iceland, who was a mystery due to the lack of information about him. 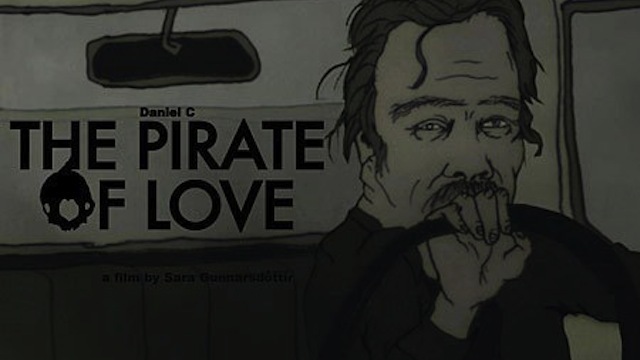 Apparently Daniel C contacted the director and she is set to be making the Pirate of Love Part 2. If anyone has any further info on the progress of Volume 2, please do let us know! Last weekend I was lucky enough to go to the splendid Berwick Film and Media Arts Festival, to watch the documentary film ‘Kiss the Water’ by Eric Steel.The screening started at 11 am and I didn’t expect many people to be there at such an early time on a Sunday morning. However the auditorium was at least three quarters full. Following the screening was a lively Q&A session with animator Em Cooper and passionate audience members. The film features animated segments by Cooper who has previously featured on animateddocumentary.com with her films 30% and Emergence. ‘Kiss the Water’ is not strictly an animated documentary, but the treatment of the animation is closely aligned to principles of animated documentary and therefore should be part of the discussion of the genre. This is a slow film, suitable for a Sunday morning screening. 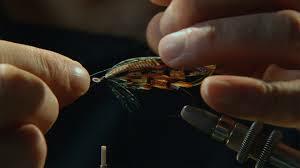 The film is about the life of Megan Boyd, a Scottish woman who devoted her life to making flies for salmon fishing. She designed every fly she made and sourced the finest materials from all over the world. 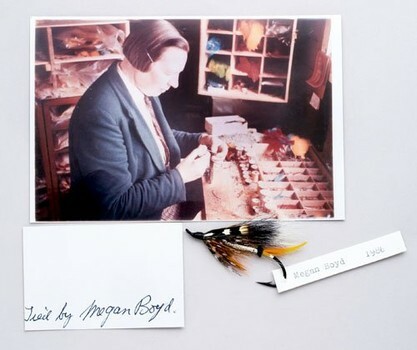 Her flies were famous amongst salmon fishers, and Megan received orders from all over the world. Megan died in 2003 and it was on reading her obituary that American Eric Steel felt the need to make a film about her. Megan spent her life living alone. She is described as ‘manly’ looking and every day she wore a tie and shirt with her tweed skirt. She drove a motor car and rode a motor bike and was remembered for her fast driving. Her home and adjoining fly-making shed, which is featured in the live action segments of film, is still standing, although it is now a ruin. The treatment of the live action enables the animation to weave throughout it by various means. The interviews with people who knew Megan are set against a black backdrop, likewise the winding of the flies. The colours have been desaturated and there are some interesting edit decisions where the live action intercuts with the animation. 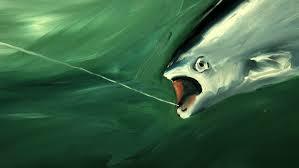 The animation is created using Cooper’s signature style of oil paint on glass. Cooper describes her self as a ‘live action film maker and animator’, as she often uses the filmed image as her source for the first frame of animation – a technique called Rotoscoping. In Cooper’s animated world, the camera is forever moving, searching through layers of oil paint, for glimpses of the figure of Megan. Thematic elements from the live action scenes and interviews are often revisited in the animation and metamorphosis features heavily to convey meaning, combining abstract elements. For example one of my favourite bits is Megan dressing herself, tying her infamous red tie, which turns into the same action used for the tying of the flies. These statements are significant in subtly addressing some of the interesting aspects of Megan’s life – in this case the question over her sexuality.